This is a concise guide for those who want to do pro editing via Adobe Premiere, Sony Vegas and other programs. The most important part of video editing. Clock speeds certainly matter, but video editing, in today’s market, utilizes as many cores and threads as you can throw at it. While Ryzen 3 1200 may struggle a litle bit on 4K editing, it’s the best bet for video editing on a very tight budget. Ryzen 5 1600 and Ryzen 7 1700 are great bang-for-buck options. With their Coffee Lake line of CPU’s, Intel’s addition of two more cores makes i5-8600k and i7-8700(k) great options. Server-grade CPU’s and very high-end CPU’s like Threadripper can definitely useful, but probably excessive for most. A good video card is recommended, although the CPU is far more important and there are diminishing returns with expensive video cards. Either AMD or Nvidia is fine. 4 GB or more of V-RAM is recommended. 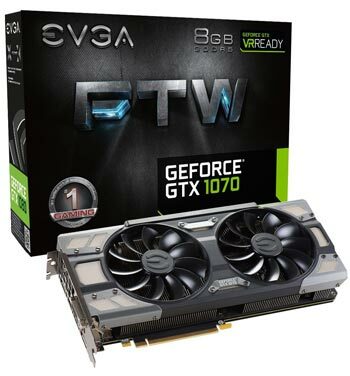 GTX 1050 Ti or GTX 1060 are best bang-for-buck. If using Da Vinci Resolve: GTX 1070 Ti or AMD’s Vega 56. Workstation video cards (i.e. Nvidia Quadro) work well for video editing, but they are way overpriced for what they offer. It depends on how much you value faster video rendering time compared to budget cost; price of RAM is a factor too. 8 GB minimum. 16-32 GB is ideal. Beyond 32 GB is generally overkill. With the large size of 4K videos, fast transfer speed matters. A solid state drive is strongly recommended (especially M2). For hard drives, at least 7200 RPM speed is recommended. 400-500w watts is plenty, unless you’re using a high-end video card. Modular is recommended. Make sure your CPU and RAM are compatible. If you plan on overclocking, make sure the motherboard allows it. ATX, Micro ATX or Mini ITX are all fine in most cases. The number of SATA ports corresponds to how many hard drives you can store. Check if the motherboard has wifi/bluetooth integrated, or else you’ll need to buy a dongle.